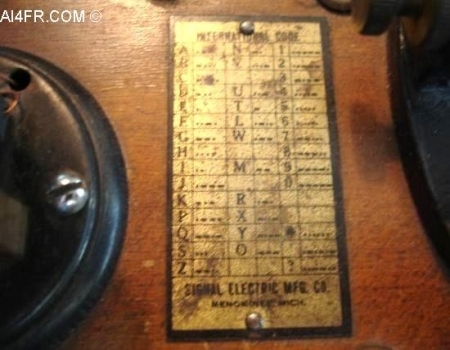 This Signal Electric Company practice key was produced at a price to the consumer of $5.20. At this time I am not clear as to when and how many years this item was produced. I believe this to be the model R-68. When this item was made it came with a cover for the black round object(buzzer or clicker) at the bottom left in the picture at the left. As can be seen, the cover is missing from the specimen featured on this page. The connectors are for headphones and a power source. Notice also the bronze colored metal plate. 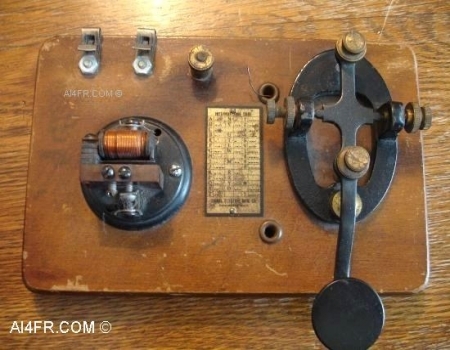 This has the manufacturers name on it as well as the Morse alphabet. 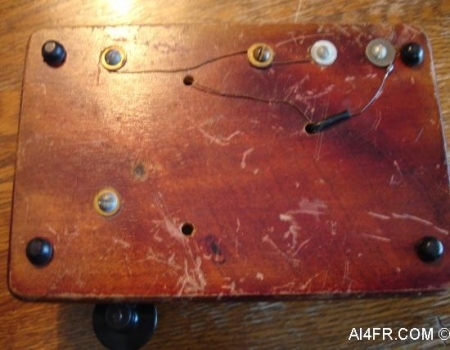 The photograph on the left is a close up of the buzzer or as some call it the clicker, with the top cover removed. The photograph on the right is a close up of the metal manufacturers label that is nailed to the top of this practice keyer. As can be seen, it has the Morse alphabet on it to aid the student in his studies. 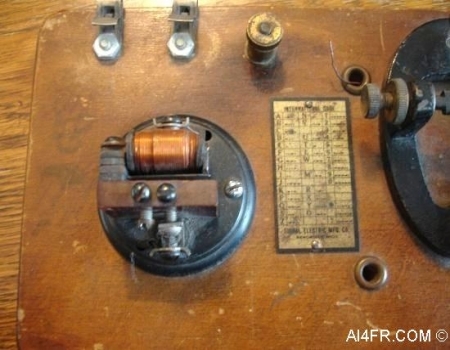 The photograph on the left is showing the bottom of the Signal Electric Mfg. 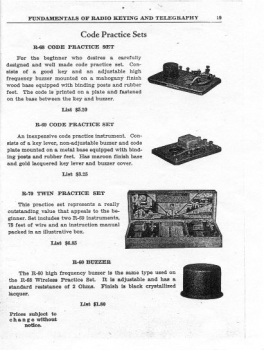 Company R-68 code practice set. For the beginner who desires a carefully designed and well made code practice set. Consists of a good key and an adjustable high frequency buzzer mounted on a mahogany finish wood base equipped with binding posts and rubber feet. 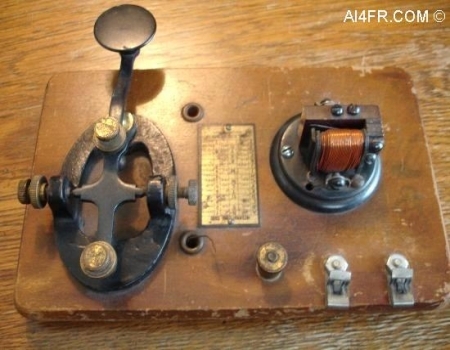 The code is printed on a plate and fastened on the base between the key and buzzer. List $5.20"